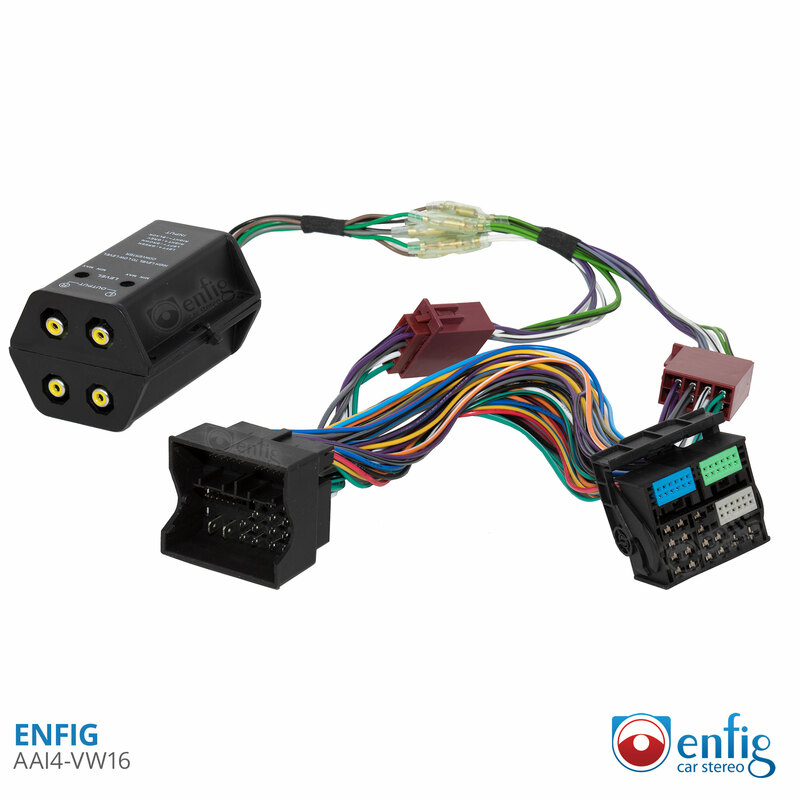 This unit will connect to the back of your Volkswagen radio with a 2015+ Quadlock connector and give you a direct low level line out that you can connect to an aftermarket amplifier. While I agree the build quality of your product is top notch.... I was unable to make it work for the intended application. After wiring tyo the factory harness and speaker wires I quickly discovered there was absolutely no way to get your harness to fit back behind the factory radio. I was excited to have found an option that enabled me to bypass cutting into the factory harness... unfortunately it just would not work with the given space.